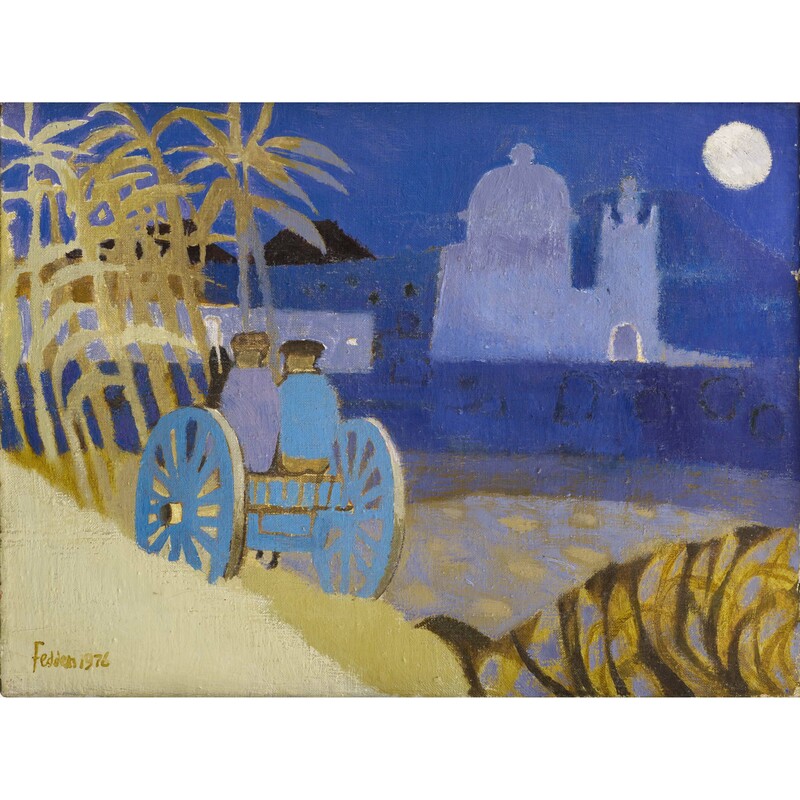 The scene depicted in “Gozo evening” is on the small Maltese island of Gozo. 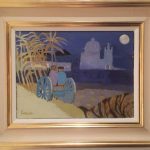 Mary Fedden and her husband, Julian Trevelyan, fell in love with Gozo when they first visited in 1958. They returned to Malta in 1963 and again in 1979. Mary Fedden’s sketchbooks from these trips have numerous pen and ink studies of the dramatic Gozo landscape, characterised by flat-topped hills with terraces fields along the slopes.